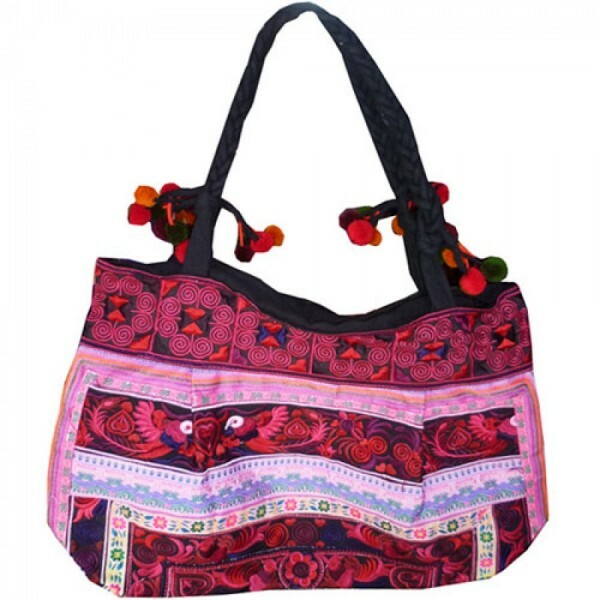 This Gorgeous Red Hmong Tribal Shoulder bag is a great everyday bag for women on the go. Dressed up or down it's the perfect size for carrying your mobile, purse, camera, food, ipad, everything but the kitchen sink! 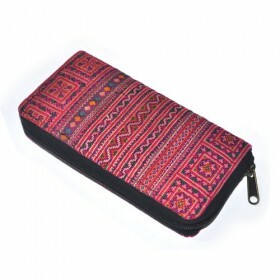 It's handmade by the Hmong Hill Tribe villages of Northern Thailand with durable embroidered outer using intricate Thai designs.